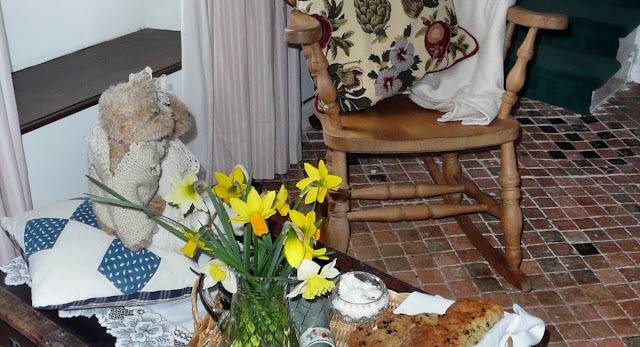 Normandy Life: Ina Garten's Irish Soda Bread and a peek inside the Presbytère. 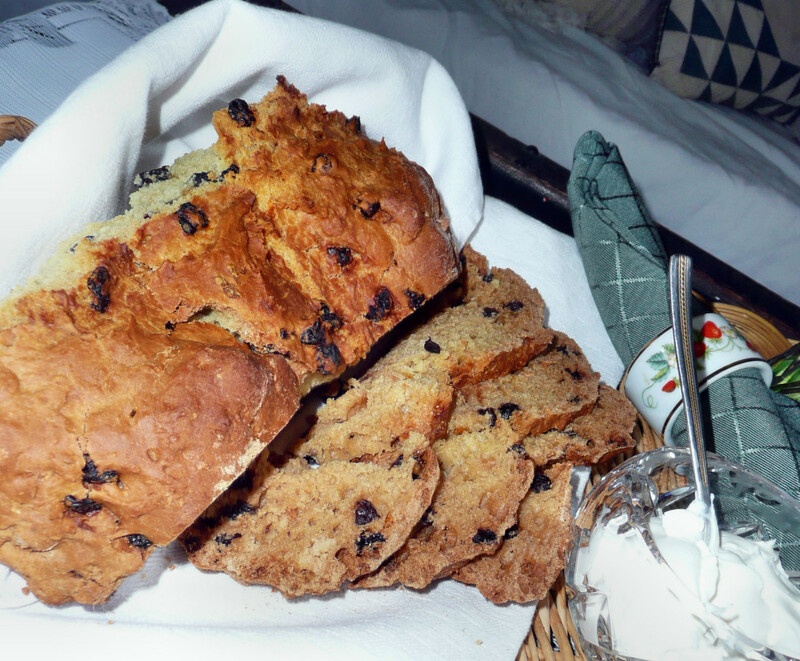 I made Ina's Irish soda bread too. Great minds, you know. Maggie, if only those walls could talk, and tell their stories. I so enjoyed seeing more of your lovely home. And you know I like bears as you saw them here. Cute, cute. Also love anything Ina Garten does. If you haven't tried her coconut cupcakes, be sure to one day. Happy Saint Patrick's Day to the two of you as well as the animals. 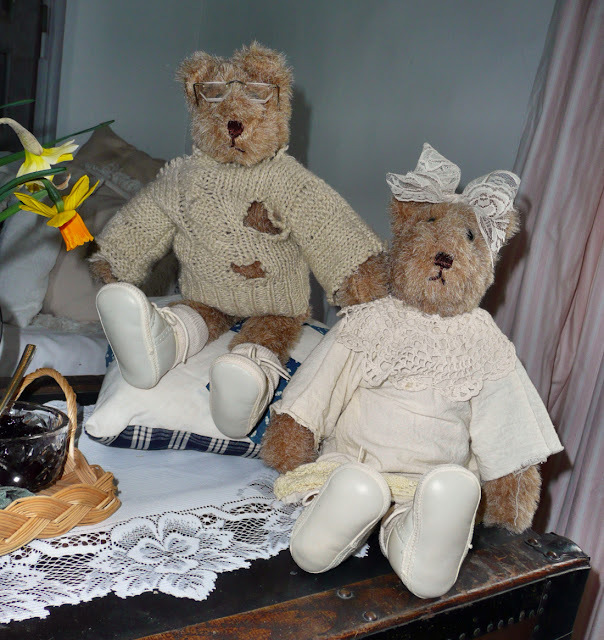 Maggie, what fun to have tea with Brian and Bree Bear in that very special room. Is the Bishops' bedroom the guest room? ;-) Such a lovely space! Tea and crumpets? I'll be right over. What a sweet tea party with Brian and Bree - and perhaps a gentle lingering presence of Bishop? Well the Bishop of Armagh in the heyday of C18th scholarship would have reposed well here- tres tres bon pour le jour du Saint Patrick! Flip is that hop thing tomorrow- I said I'd sign up for that too!!! This is such a wonderful post Maggie. I love the glimpse inside your home. 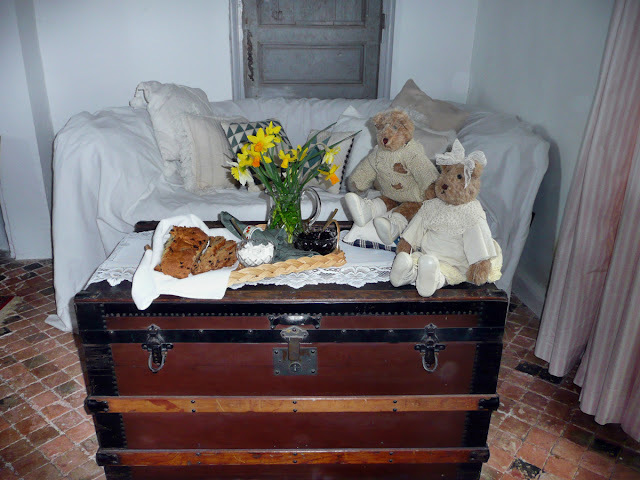 I have a trunk similar to yours and just posted about my old sea chest today - an Irish post as well - The luck of the Irish to you! I just know that if I sat down in that sofa, among those cushions, I'd never get up. What a sweet post - a little whimsy, a little glimpse of your beautiful home and a link to a post with some good reminders. What a delicious looking tea party :) And I love your guests! Beautiful home. Thanks for the tour of your wonderful home. 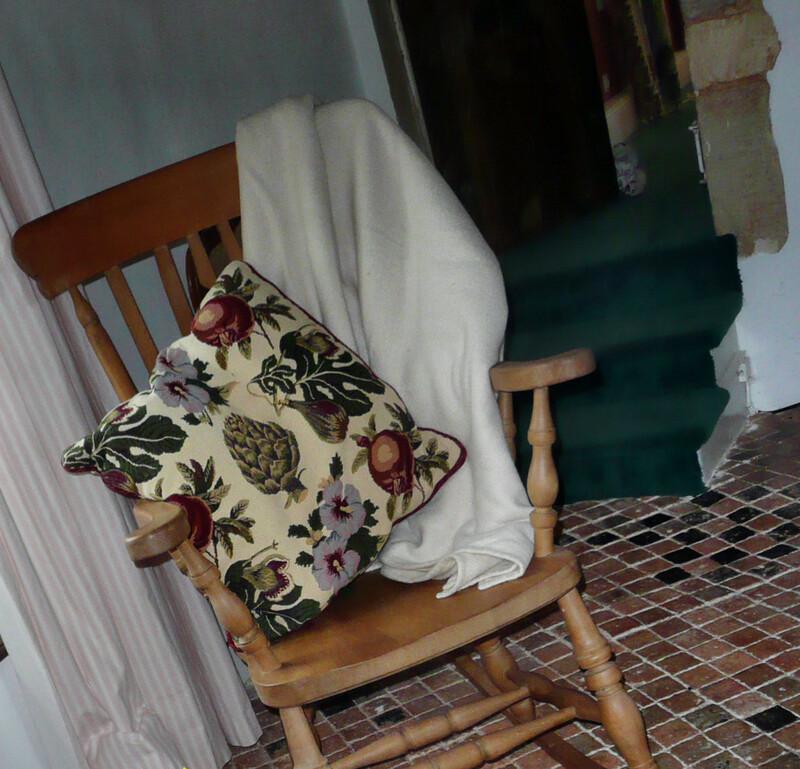 I almost can't wrap my mind around the idea of living in a home that is so wonderfully old and a true treasure. Your soda bread looks fabulous. I would love to have a piece for breakfast this morning! Wonderfuly post and the bunnies are so adorable. Ummm, the bread looks fabulous. Your home is so warm and welcoming and that bread looks like a fabulous tea treat. Happy St Paddy's! What a fun post. 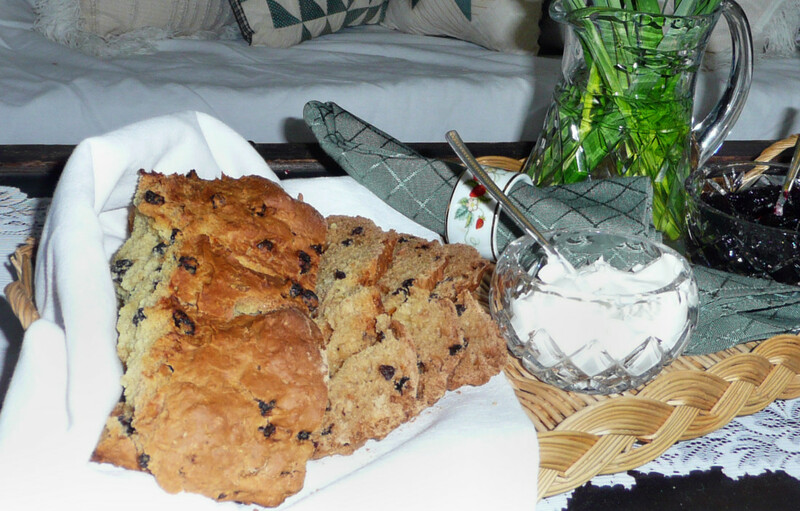 I would love to join you for tea and Irish soda bread! 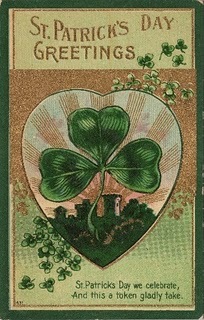 I hope you have a wnderful St. Patrick's day! Maggie, your Irish cut crystal is gorgeous! The soda bread looks delicious! And I always enjoy seeing your beautiful home. Happy St Patrick's day to you! Holy Moly! You actually LIVE in Normandy??!?!! That is just so cool!!!!!!!! And your home is beautiful! I can only imagine the satisfaction it has brought you and your husband over the last 14 years. What a wonderful treasure! 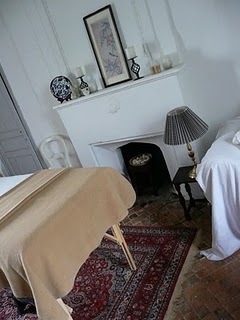 Those floors in the bedroom are amazingly beautiful! It is always so nice to visit with people in far-flung places. 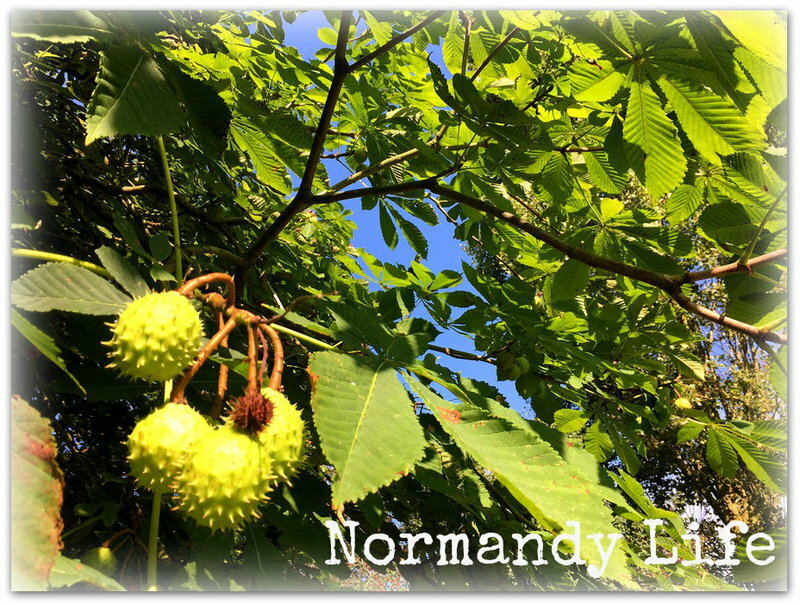 Normandy is a new one for me! I hope you and your family enjoy St. Patrick's Day and that you continue to find peace, comfort and joy in your gorgeous home. Oh...and thank you so much for stopping by my blog earlier today! What a lovely home, Maggie! And the bears look completely comfortable there! Kathleen's blog crawl is such fun and Ina's soda bread is a fine addition! I love Ina. All the recipes of hers I've tried are wonderful. Thanks for the peek into the Presbytere. I sure enjoyed having tea with you today. Your home is lovely. Your Soda Bread looks very good. Thank you for sharing and you have a great day! Your home is so fascinating. People here really don't know what "old" means do they? That floor is wonderful! I'd love a slice of the bread...I'm without a kitchen for a couple of weeks or I'd be baking some! What a lovely blog you have! And your bedroom is just beautiful. Love those sweet bears and that gorgeous trunk! 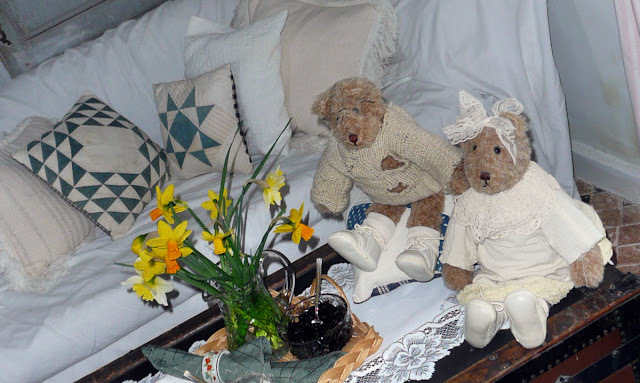 Thanks so much for visiting my blog ~ I do hope you will visit often! I tried soda bread this year too, it's nice to see the color and texture of everyones since I didn't know what it was supposed to look like. 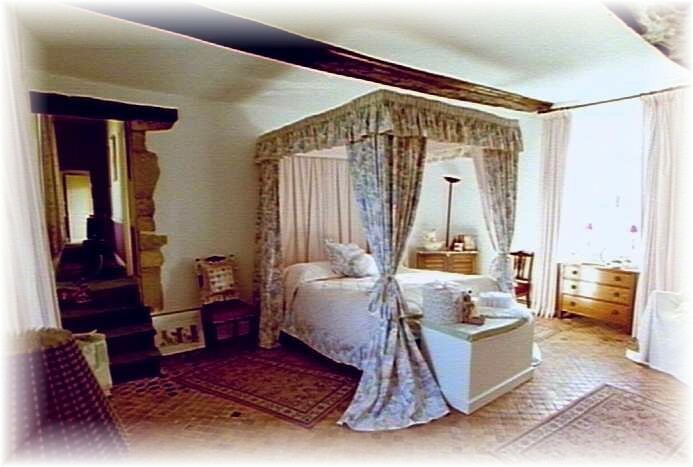 The Bishops room is beautiful..could sleep well there!! What a beautiful home, and adorable bears! Thanks so much for joining in the Blog Crawl! Had to come bacl and look at your new addition - Fleur is gorgeous! !